Crankworx went off in Whistler last week with the worlds best riders in attendance. 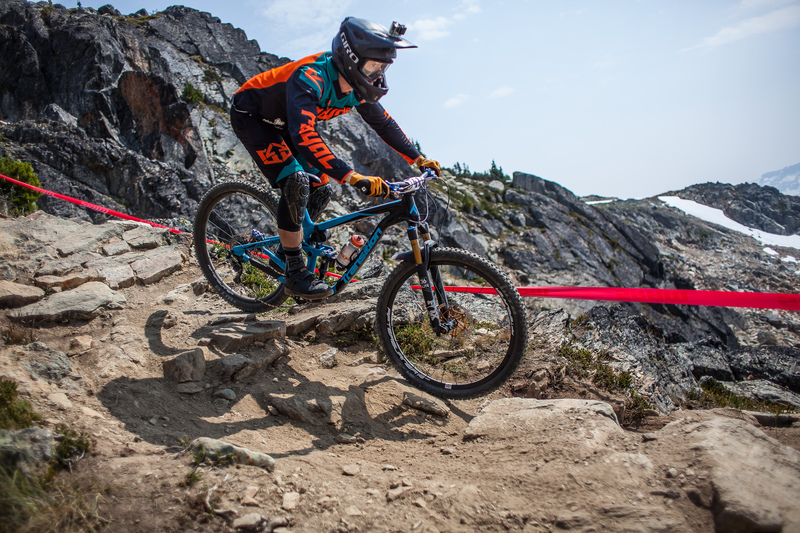 Whistler always plays host to the most exciting Mountain bike festival in North America. Both the FSA Staff and their factory riders were also in attendance to show off their innovative modular cranks, rowdy boost wheels, and updated cockpit choices. In attendace for FSA was Keegan Wright (Specialized), Conor Macfarlane (Intense), Dan Wolfe (Transition), Kent Billingsley (DFT United), Josh Gibb (DFT United), and Dylan Brown (Transition). FSA partnered team Devinci Cylces was on hand and crushing the EWS and DH Tracks all week long. Dan Wolfe 58th in Pro. Kent Billingsley 66th in Pro. The FSA booth was located behind Longhorn Bar and Grill right next to the main Fitzsimmons Chairlift up the bike park. FSA was on hand showing off their new fully modular cranks, asymmetrical wheels, Enduro and DH Cockpits and more. If you were lucky enough to stop by the FSA Tent, you might have had the chance to enter our raffle for some awesome MTB prizes. Thanks to all the staff, riders, media, and Whistler Blackcomb employee’s that make this event possible. The team’s Crankworx experience began with the Challenger Enduro where we would see Louie and Zach competing in the 13-14 and 15-16 classes respectively. The EWS Enduro was comprised of five stages, with two in the bike park and the remaining three in the valley. The Challenger Enduro was raced on both of the bike park stages, but only one of the valley trail stages. Because of conflicting practice schedules, Zach and Louie were not able to practice with Josh and Kent and were subsequently left to figure out the stages by themselves. During stage one of the Challenger Enduro, Billy Epic to Bob’s Rebob, is considered mild in Canadian terms and the mellowest out of the four stages. The classic valley trail proved to be very much in Louie and Zach’s wheelhouses as they both finished in 3rd and started off a great day. Stage one of the EWS was a massive 20-minute grind including Top of the World down and Ride Don’t Slide. This stage was split up into two separate stages for the Challenger and was the 2nd and 3rd stages of the race. The high energy and physical nature of the Top of the World stage was a not a favorite of either of the boys, but Louie came away with a 4th and Zach stayed consistent with another 3rd. Stage 3 brought the boys to Ride Don’t Slide which is easily the longest and most technical stage of the race, but also a favorite with both Louie and Zach coming from DH backgrounds. Despite the extra confidence going into this stage, both of the boys landed themselves in the 3rd position yet again. The 4th and final stage was a bike park burner going down No Joke, Drop in Clinic, Duffman, Mackenzie River, Samurai Pizza Cat, Afternoon Delight, Longhorn and finishing off with Monkey Hands down to the line. Louie nabbed another 3rd place finish and Zach continued his streak with 3’s across the board thus landing both boys in podium positions, 3rd place in the overall and some Crankworx silverware. Louie had a quick turn around after the enduro to practice for the Kidsworx B-line race along with Cam. The two riders got a little coaching during practice from Josh who won the race 4 years ago. 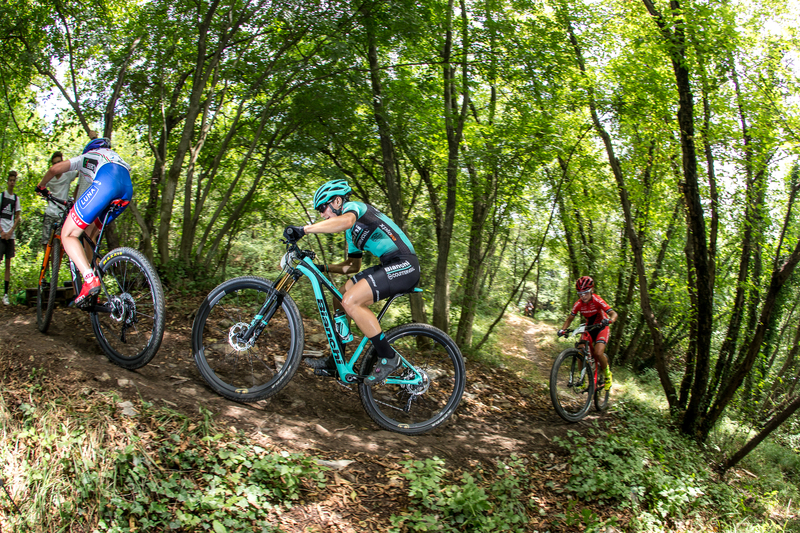 Despite B-line not being the most technical of courses, the 5 ½ minute run is comprised of lots of pedaling and pumping the entire way down. Louie finished 8th and Cam 29th in the stacked field of 40+ groms. The next event of the week was Air DH of which all Josh, Zach and Louie were competing in. Air DH was on Wednesday and the enduro was on Sunday so there was ample time in between the two events. All three of the boys were pounding laps everyday leading up to the race. Louie and Zach both had runs that they were happy with and Louie finished 12/36 and Zach finished 15/33 in some of the most competitive classes of the race. The situation was different for Josh. He had competed in the Air DH for many years coming into this year and finished 5th in a stacked junior expert field the year before. This year was his first year in pro and the competition was going to be much more difficult. Josh came down very early in the 100+ pro men field and landed himself in the hot seat with the fastest run of the day out of any class. Rider after rider came down, but Josh held out in the hot seat for 50+ riders and was super stoked to end up in a solid 26th spot. The final event of the week was dual slalom. Josh has raced in this event in the past, but it was the first time for Bailey and Kent. Josh and Bailey both put Afterburner 27.5 wheels and lowered forks on their smugglers to make custom slalom beasts that worked out super well. Slalom was an all-day ordeal on Friday with practice, qualifying and racing back to back starting at 8AM. The track this year was tough and technical, but Josh and Kent figured it out pretty quickly. They were the first two riders to hit the biggest double on track and were confident going into qualifying. Only the top 32 advanced to the first round of racing and Kent and Josh both made it in, qualifying 27th and 16th. Kent was matched up against the King of Crankworx, Adrien Loron, and was eliminated first round and Josh had a tight battle just to lose out by a fraction of a second. Bailey competed later in the day because he was racing in the expert category rather than pro and absolutely loved the track and his custom set up bike. Bailey had a good qualifier and battled it out all the way to the finals where he was just edged out to finish with the silver. Overall, the whole DFT United crew had a great showing at the most difficult, but undoubtedly the most fun and exciting event of the season. Coming off a great EWS debut in Colorado with middle of the pack finishes, Josh and Kent were stoked to race some more familiar terrain in Whistler, BC. Once the stages were announced, there were many who were surprised with the choice of trails for Crankzilla 2. 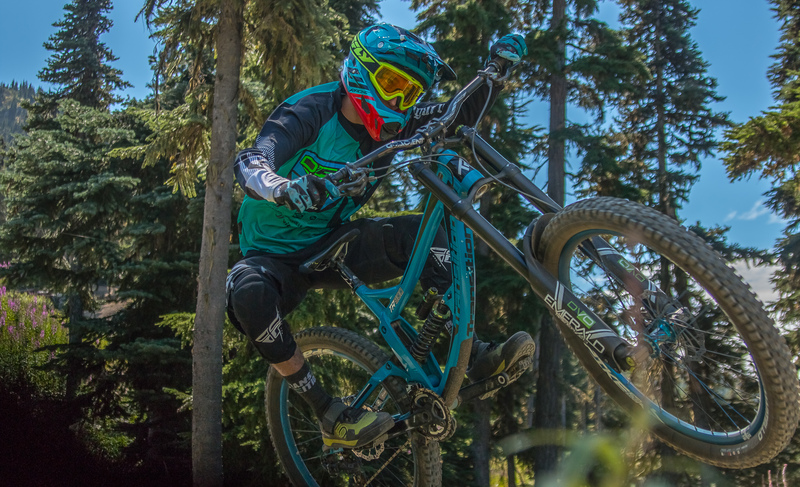 The course was laid out with three trails on the West side of the valley for the first time, no trails on Blackcomb, only one in Whistler Bike Park and one off Top Of The World to Creekside. This would prove to be a very different race this year. The team headed up to Whistler five days early to ride the bike park to get the bikes dialed in for Whistler conditions. With Top of the World open and all of Stage 5 being in the Bike Park, Josh and Kent made many laps on those accessible trails so they could focus on the other stages during official controlled practice. Unlike Aspen, where all the stages were accessible by lift, riders had to shuttle to the trailhead at Whistler. The riders would then still have sizeable climbs to reach the start of stages 2, 3 and 4. The climb to the Iconic Whistler classic, Howler, (which also happened to be the start of Stage 4) required the riders to hike-a-bike the last 20 minutes of an hour plus climb. After two days of practice, Josh and Kent felt like they had a good grip on the trails, especially Stage 3, 4 and 5. However, they were not feeling as confident on Stage 1 Top of the World to Ride Don’t Slide and Stage 2 A Rock Work Orange. It was hard to find any one rider who did a full pull on Stage 1 during practice. There was a lot of talk coming from all the riders, pros and amateurs alike, with concerns about arm and hand pump on the 20 minute stage covering 7.3km long with a 1,298m vertical descent. Stage 2 A Rock Work Orange was a very slow, super tech trail that requires the riders to be slow and tight the whole way down splitting trees, rock rolls and punchy climbs. This would make the stage very difficult and a key to the race for those that could master it. An overnight rain leading into race day added some much-needed moisture to the trails after some sixty days of no rain in the area. Stage 1 had some slick sections but overall had good grip. Josh came down first and did not have the stage he had hoped for with a slide out. When he went to get back on his bike it a small tree had wrapped itself in his frame, through is wheels and around his bars causing him to spend about 90 seconds to free it and get rolling again. He finished the stage 33rd/53 riders. Kent had a much better run on Stage 1 staying clean and upright all the way down seating him 70th/143 riders that started. The slow, super tech trail full of rock slabs was going to be a key stage in getting a good overall in the Whistler EWS. Going into this stage, Josh was just not feeling the trail or finding a flow with its slow super tech and punchy climbs. He would drop a spot to 34th/53 riders after this stage. Unlike Josh, Kent was loving the terrain and ripped off a good lap bumping him up two spots to 68th/143 riders. After putting the troubles of the last two stages behind him, Josh ripped off a great run with a 25th place finish on the stage pulling him up ten spots. After having two solid runs on Stages 1 and 2, Kent ran into a few issues on this stage dropping him 7 spots 75th. As mentioned earlier, the climb to Howler requires a fair amount of hike-a-bike to reach to top of the start. Leading into race day, Josh knew that Stages 4 and 5 would be his best chances to make up any lost time. He barely made his start time for the stage due to some bike maintenance needs to take care of if the tech area after Stage 3. With some renewed confidence, Josh hit Stage 4 with all he had and had his best stage of the race. Josh placed 17th on the stage and was the top American finisher on Stage 4 on the classic Whistler trail. Not to be outdone, Kent also ripped of a great run on Howler proving his DH Montana masher skills were well suited for this classic trail, pulling off a 69th fin-ish on stage 4. Feeling good coming off a great run, Josh and Kent felt Stage 5 in the bike park would be a great chance to make up some more time. Josh had a good run on Stage 5 and even with a short crash he finished the stage in 17th on the rough tech stage and a final overall finish of 27th/53 riders at Crankzilla 2! Kent did not have his best run of the day with two crashes, but was able to finish the day of riding in 66th/143 riders! Josh and Kent made it through the long day of racing tough technical terrain with no mechanicals or flats and the bikes ran well all day! It has been a very busy three weeks for these two lads leading up to EWS Whistler. Next up would be Crankworx after a couple of days of much needed rest after conquering Crankzilla 2!